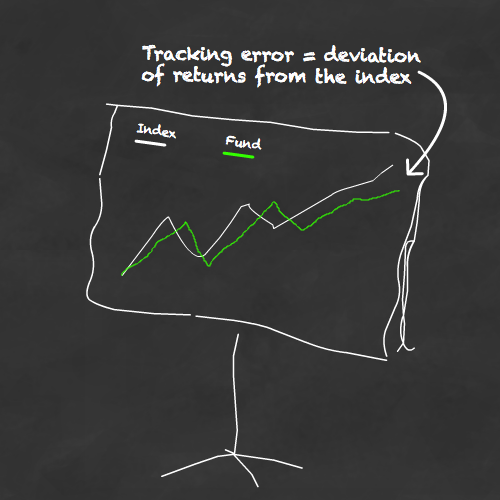 Tracking error is often cited as a key factor in tracker fund selection. Tracking error is to tracker funds as goal tally is to a Premiership striker – a fundamental measure of how well the job is being done. That’s important information for passive investors because it can reveal the hidden cost of owning a tracker. There’s no point choosing a fund with a Total Expense Ratio (TER) 0.2% cheaper than its rivals, if its returns consistently lag the same benchmark by an extra 0.5%. Index returns aren’t dragged down by operating expenses, but tracker fund returns are. Therefore you’d always expect a fund to lag its benchmark by at least its TER. The TER is deducted from the fund’s net asset value (NAV) on a daily basis, so the lower the TER, the lower the tracking error, and the better the expected fund return, all things being equal. Although index funds are popularly thought to be so simple that they can be run by VIC-20 computers, better management can rein in tracking error. Look for funds with a long record of tight tracking error. So that’s tracking error in a blog-style nutshell. And everything would be hunky dory if fund providers published tracking error on their factsheets just like TER. But they don’t, and there’s no regulatory requirement for them to do so. Clean comparisons of funds by tracking error are nigh on impossible in the real world. You might work tracking error out for yourself, if you love equations, but that doesn’t sound like many couch-potato investors I know. 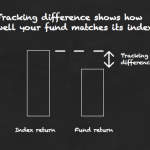 Instead, you can use tracking difference as a substitute for tracking error when you want to compare rival funds. An aside…Vic-20, takes me back…! I was a Beeb man myself… After the good old ZX81 of course. Hard to argue with progress however… hard to imagine the Internet and those spongey keyboards. 1. As ever, thanks for this. 2. In your list of possible reasons for tracking error, you don’t consider the issue of percentage of assets in cash. 3. Also, fund size might be relevant. That is, larger funds may benefit from economies of scale. 4. Further, funds will differ in the number and size of redemption requests they receive over a given period of time. Interesting the issue on tracking error – I believe Tim Hale in his latest book(Smarter Investing) suggested that tracking error should not exceed 1% although I have to say having looked at a number of my HSBC index trackers most are over this figure and believe HSBC FTSE 250 under my Fidelity platform is showing a 2.95% tracking error – or am I missing something here! funds to milk investors is by fat (unpublished) tracking errors. tracker error but is rough-and-ready. As always, DYOR. Rob – 100% agree it would seem that a large proportion of these companies are never very transparent. I have to say Vanguard are one of the few exceptions and there is a comfort in knowing that the policy holders are also owners and their TER is what it implies – their total charges and not dressed up as something else. @ Steve – you’ve put your finger on nub of the problem: we can’t compare tracking errors because we’ve no idea whether they’re comparable and because hardly anyone publishes them. 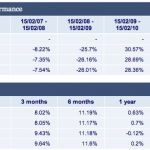 During my research, I discovered HSBC’s FTSE 100 index fund (acc) awarded 0.38% tracking error by HSBC and 4.18% by TD Waterhouse (using Morningstar data). TDW’s data looks ludicrously high (and it’s roughly this level for every tracker I looked at on their site). I’ll get in touch with them and ask them how they calculate it. Hale says keep tracking error low, ideally below 1% and that beyond 2% is unacceptable. But, it’s irrelevant as long as the measure remains so cryptic. Rob is bang on with his reply. @ OldPro – I had a ZX Spectrum, though I enjoyed the odd game of Shadowfax on a friend’s VIC-20. Beeb mates provoked raging jealousy cos they had Elite. It somehow seemed rude to turn up at their house and expect to play on their computer for an 8-hour session – without talking -just so I could get to Mostly Harmless. Fidelity’s data is taken from Morningstar, just like TD Waterhouse. One basic problem is they don’t say what timescale their version of tracking error is dealing with. Another problem is that some funds aren’t benchmarked against the right index. The FTSE 250 tracker is OK, but if you look at the HSBC FTSE All-Share fund, Morningstar are comparing it against the FTSE 100. 1. Hi TA, I notice you didn’t respond to my comments. 2. Can I get a refund? Ha ha. .-= Moneycone on: The Beardstown Ladies =-. Is it systematic error we should be most worried about, or the size of the random fluctuations ? More accurate replication should cause smaller random fluctuations, but could increase costs resulting in a larger systematic drift. Ultimately what I care about is that my returns match the index as closely as possible. Theoretically the fluctuations along the way are moot if we all get to the same place in the end. But the fluctuations tell their own story. If they’re wild then the tracker is probably not be the dead ringer for the index that it claims to be and that’s a warning sign that all may not be well in the long-term. My next step would be to compare the fund with its nearest rivals, and if costs and tracking difference over time are in the same ball-park, then I’d choose the one that bucked around the least. Ultimately, I’d prioritise tracking difference but there’d need to be a reasonable track record to judge that by. I’d want at least 5 years, preferably 10 (I’ll be lucky), would settle for 3 (where I’ve got no choice, and I usually don’t). Lending securities to short-sellers for a little extra return is not risk-free. Take another look at Nassim Taleb’s thoughts on options writers (“Fooled by Randomness”), and you’ll grok what I mean. Indeed, there’s a whole dimension of tracking error which is not mentioned in this article: the risk profile of the tracker against that of theindex. 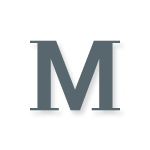 Still, a valuable article, and well-written. Thanks.